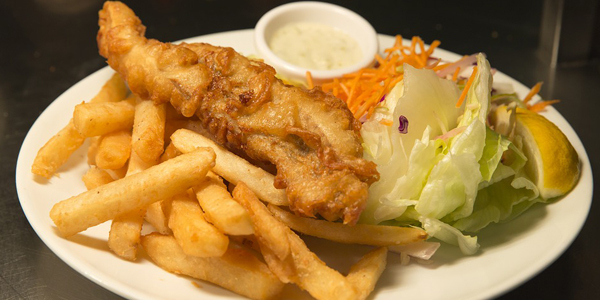 (P1) Fish and chips is a famous dish in England. Two types of fish are used in the dish. The problem is that there are not enough of these fish. There is less fish in the sea. This is because the sea is getting too warm for these fish. (P2) If there are not enough fish, the dish will be in danger. Scientists say that squid must replace the fish. Squid numbers are growing fast in the seas around Britain. Have you ever tried fish and chips? If so, did you like it? If no, would you try it? What are some dishes in your country? Where is the dish famous? How many types of fish are used? The fish don’t like __________ water. Who said that squid must replace fish?